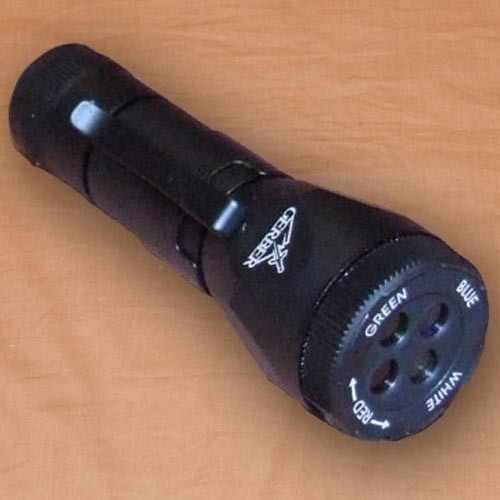 Compact Gerber Recon LED Torch with multi-coloured swivel head. The torch measures 9cm long with a maximum diameter of 3cm. The colours provided on the swivel head are white, blue, red and green and these have a multiude of uses. Swivel head has a ball bearing to help give a positive action to each change of colour. The torch uses one AA battery and turns on by swivelling the rear of the torch onto the chassis. The torch has an inbuilt loop for a lanyard and a separate belt or pocket clip. One AA battery is included in the set.